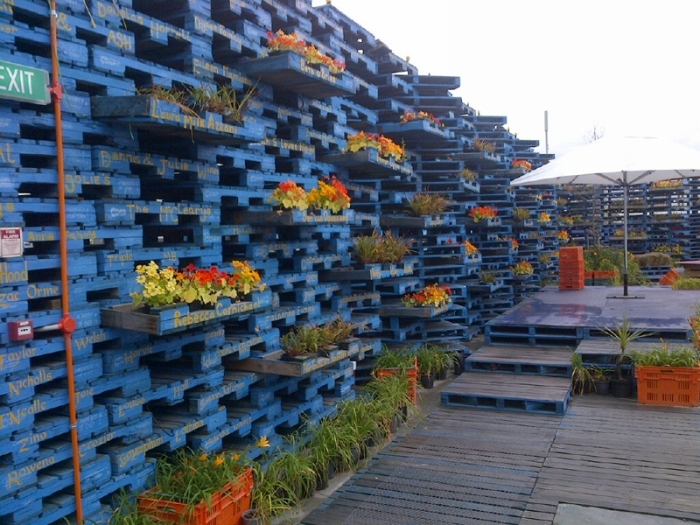 We have talked about wood pallet extravaganza in many early articles. 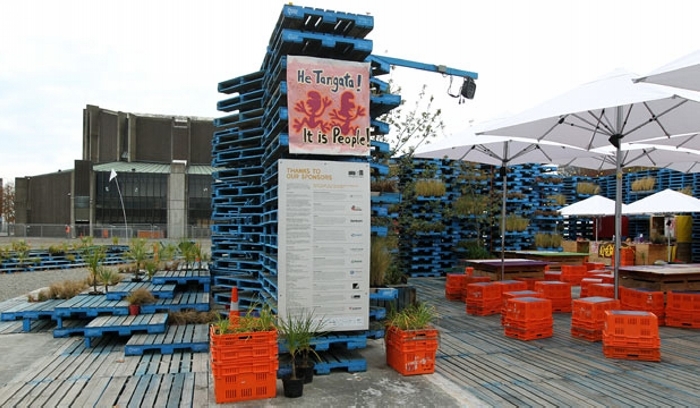 This is about when you are having the bulk supply of shipping pallets and you are also good in the exploitation of such recycling projects then this sort of projects come forward, pallet recycled pavilion architecture. As this architecture could have been made with several other materials. 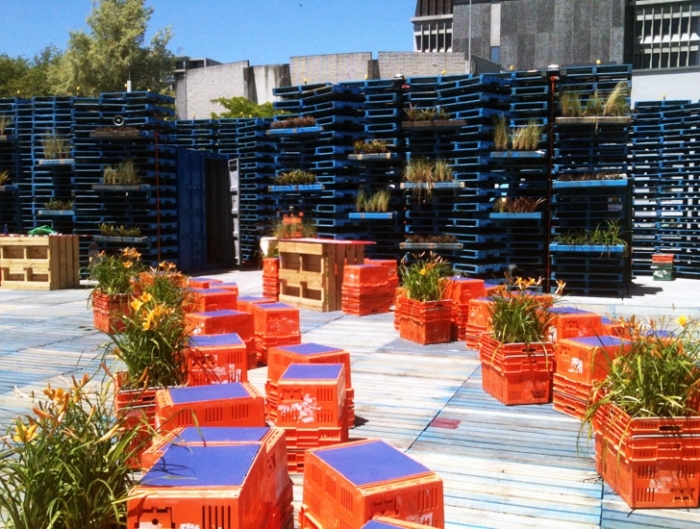 But we planned to recycle it with same wood pallets. So this is a whole kind of auditorium or simply a pavilion where many recreational and even educational activities could be performed depending on your choice and mood. We would be discussing the whole arrangement in different steps. 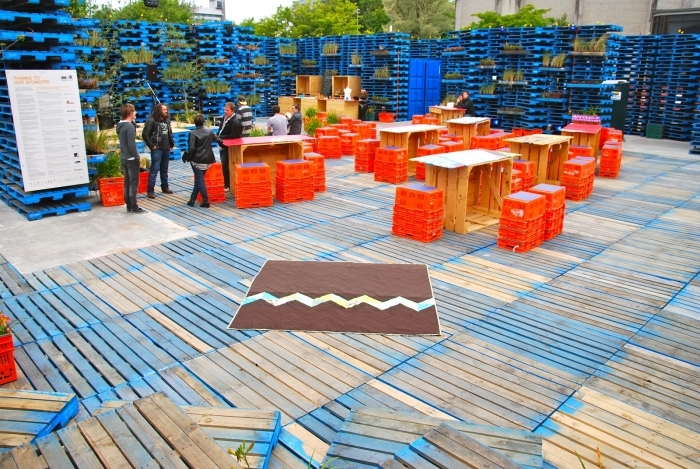 First of all we can see an extensive and broad wooden pallet deck all around the covered area. This was just like setting a wooden stage for this pavilion set up, so the shipping pallets are used so damn generously all around. This is a bit closer look of the pavilion architecture. The very first thing that comes to our mind after having a look on this scene is the wood all around. Shipping pallets are there in each and every corner. And this was the basic theme that is very well planned and executed for sure. 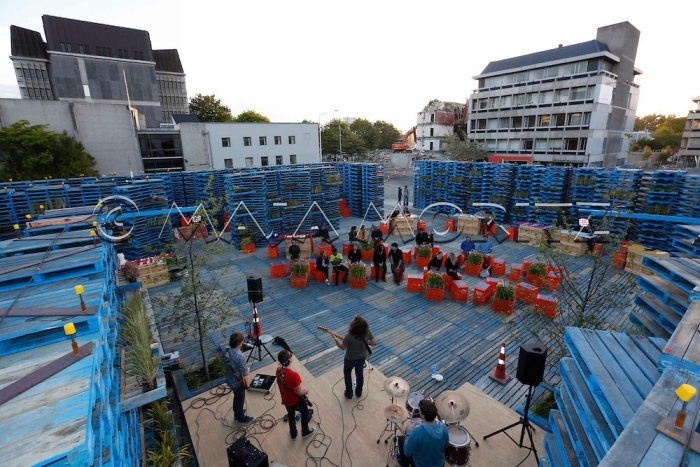 We some plastic fruit crates lying all around the scene, they are used as the stools. Some of them are also turned into some planters. 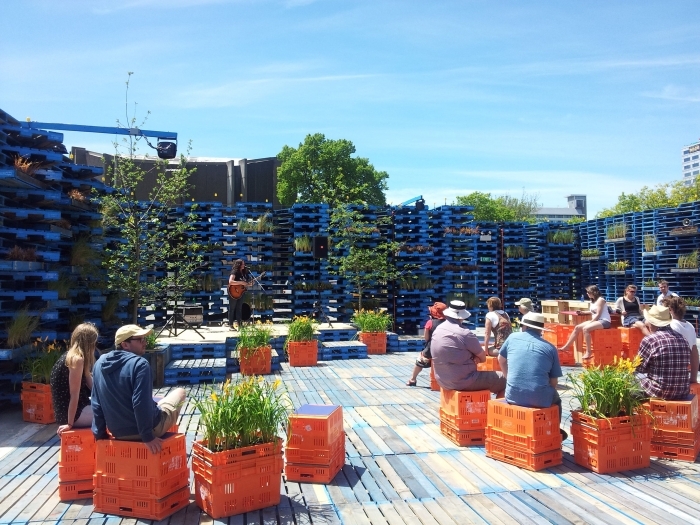 But most importantly we see some wooden pallet recycled table in the front of these fruit crates, this is again the representation of shipping pallets in this pavilion architecture. Well, this is again a distant look of the pavilion. 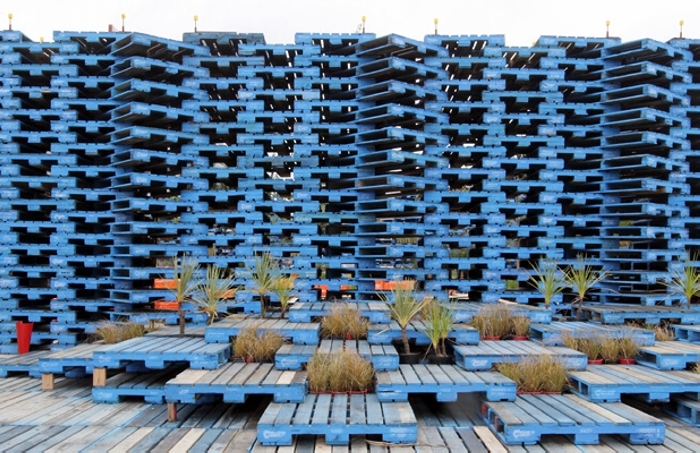 The one thing that is pretty obvious that we can see gigantic piles of shipping pallets all around the specified area, this is just to cover the area and these pallet piles are playing the part of walls of a conventional pavilion. Now being a bit specific about the cornered piles of shipping pallets, we have turned some of them into wood pallet planters. What we did actually that we just grabbed one pallet out of the stock a bit, filled it with soil and used it as a planter that’s it. Having a glimpse of this wooden pallet pavilion architecture from a distance feels like some splendid skyscrapers, these painted wooden shipping pallets reflect a strange class and decency. Despite of pallet extravaganza demonstrated here, try this one if you are self sufficient in the matter of shipping wood pallets.